Lois Marilyn (Barnard) Reggie was born to Alden Cobb & Annie Summers (Mooklar) Barnard on January 2, 1942 in Kansas City, Missouri. Due to her father’s military career in aviation, she moved around a lot as a child, including Hawaii, before settling in Los Angeles. She was united in marriage to Robert Frederick Reggie on May 18, 1961. Lois worked at Savon Drug Corp in administration which was a job she loved, and then she worked at IC Gilfillan and IC Engineering before taking over her husband’s business, Culver Sandblasting, upon his death. Her husband Robert passed away in May 1982. 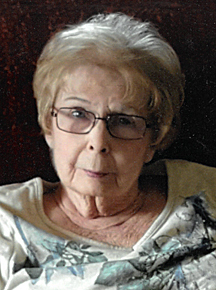 Lois was a kind, sweet, fun-loving, opinionated woman who loved her family and friends deeply. She loved gardening and grew a variety of rose bushes in addition to cultivating tropical plants/flowers such as ginger and plumeria bushes. 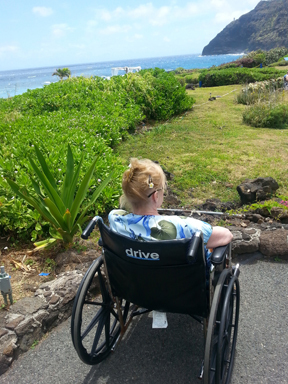 Lois loved travelling with her family and friends. She also enjoyed outings and shopping with her friends. As a young girl, she played piano for about 8 years. Lois truly loved spending time with family and friends and will dearly be missed by all who knew her. Her favorite past time was to watch her husband drag race, and until recently she watched the NHRA drag races when they were on TV. Lois entered eternal rest on Tuesday, December 4, 2018 at Lakewood Care Center in Staples, Minnesota. The family would like to send a thank you to Lakewood Care Center staff for taking such great care of mom. She truly loved you all so much. And a special thanks to Dr. Benson, Kattie and Lakewood Hospice Team for providing such comfort and compassion for mom. Preceding her in death were her parents, Alden and Annie Barnard and her husband, Bobby Reggie. She will lovingly be remembered by children: daughter, Debbie (Buck) Foster of Wadena; son, Gary Reggie of Fergus Falls; 5 grandchildren: Amber, Jeffrey, Cristina, Brett and Joey; 5 great-grandchildren: Mariah, Matthew, Addy, Riley, and Angel; sister, Martha Barnard of Provo, Utah; “grandson” Jarrett; many nieces, nephews and friends. A celebration of life will be held in California at a later date.